Frankfurt is a wonderful, vibrant city that has the best of everything – grand medieval buildings, towering skyscrapers and a hugely important place in the world economy as home of the German stock exchange and European Central Bank. 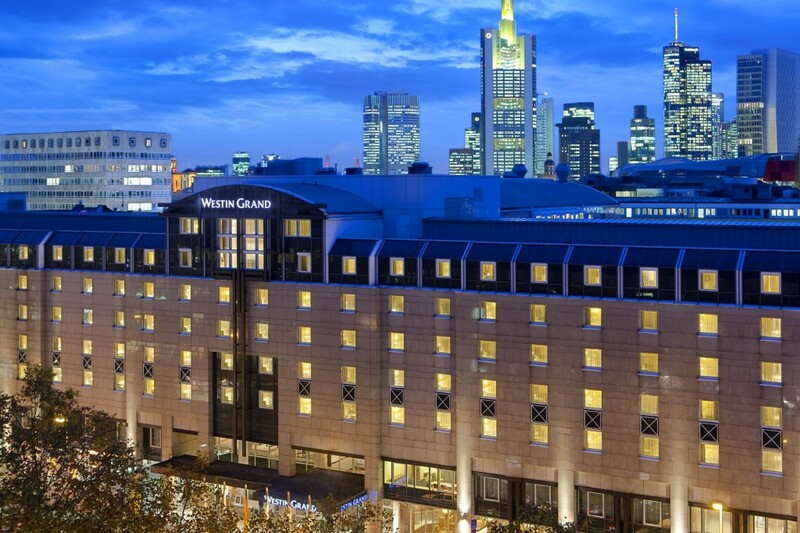 Some of the hotels are pretty special too, and the Westin Grand Frankfurt especially so. The building is large, imposing and modern, set against a backdrop of the towering skyline that gave the city its ‘Mainhattan’ nickname. But what is visible outside is just a hint of the finery within. Quite simply, this is a hotel that takes modern grandeur to a new level. With fine ornate pillars and light fittings, a wide variety of modern materials and a mix of colours without ever being garish – all this is tastefully and classily displayed. Marble, wood, leather, metal – all are on show in a wonderfully choreographed interior. Above all, this hotel with a big heart has lots of space. The rooms look cavernous and feel it too, with big, cosy beds offering a wonderful night’s sleep, the pool and spa are superb and the rooftop views are magnificent. No wonder famous folk like Madonna and Rihanna have stayed here. There is also a fine fitness studio and spa, all of which will combine with the comfort and grandeur on offer to provide a great place to stay, of business or pleasure. In the former case, the hotel also has large meeting rooms, with the Business Centre being designed to provide all the multimedia and conferencing space needed. No description of the Westin could be complete without noting its environmental practices. This is perhaps the greenest hotel in the city, with energy efficient lights, water conserving measures throughout, and an energy saving ventilation system that cuts 30 per cent of power, while recycling and the use of organic materials is a top priority. Guests can join in with this too, through the Green Choice program, which rewards guests for conserving natural resources in the guest room. The Westin is not just a hotel with a heart, but a really green one.